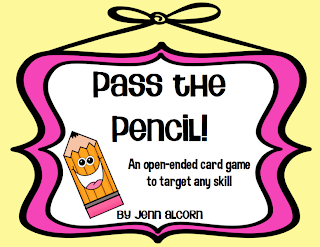 Speechie Freebies: Pass the Pencil! 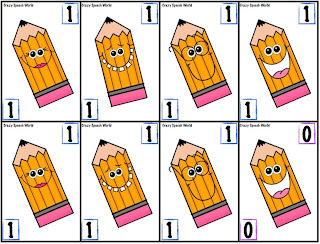 In case you missed the SLPs Hopping Back to School blog hop, I am sharing this cute freebie again with everyone! 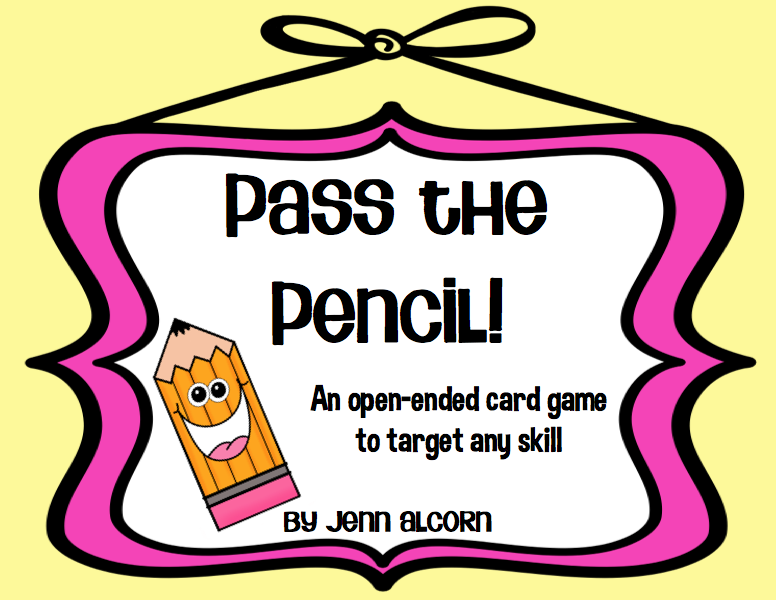 This is a fun open ended game that you can use to target any skill your students are working on! The graphics are really great for back to school, but you can use them ANY time of year! 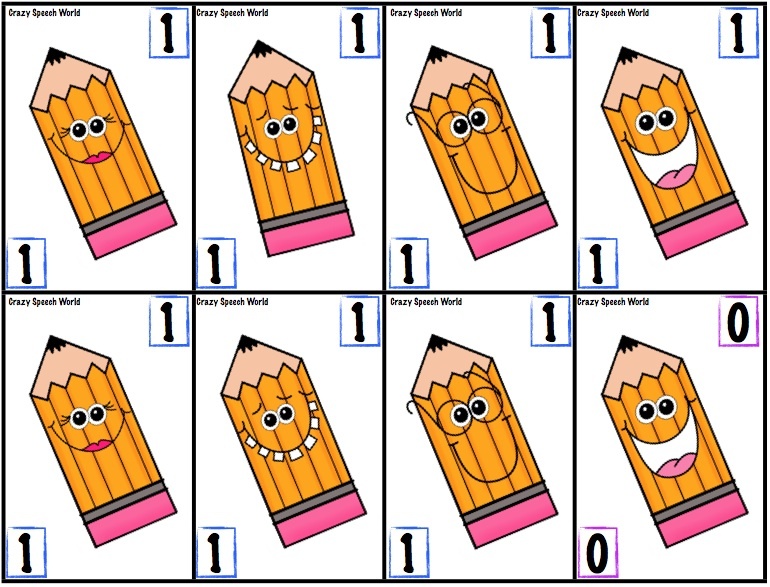 There are 40 point cards, ranging from zero to five, featuring these super happy pencils! 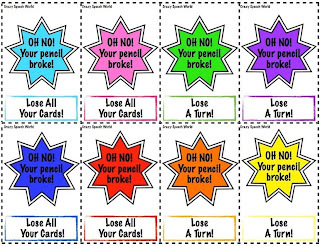 Plus these eight penalty cards! 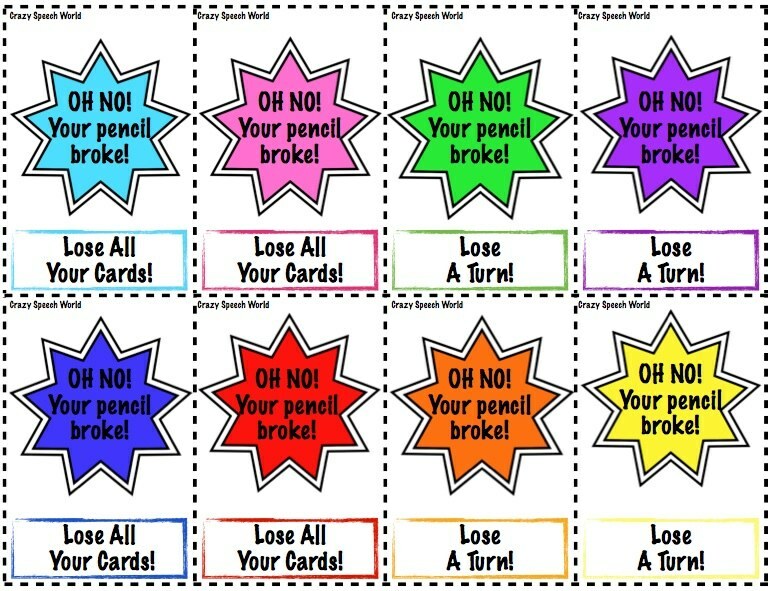 You put all the cards in a pile and students take turns practicing their target, then choosing a card. Whoever ends the game with the most points, wins!